Kookaburras are remarkably underrated birds. A more sociable cousin of the Kingfisher, they are full-feathered and expressive – an excellent painting subject. We met a Laughing Kookaburra at a recent visit to Marwell Zoo. He was incredibly patient and tame, sitting just a metre away from us in an open aviary. He posed for us for a good ten minutes, and we got some really beautiful shots of the Kookaburra and the leafy background in soft focus. I knew that it would make an amazing statement piece, so I bought a 40 x 60cm canvas and set aside quite a bit of time (I estimate it took 50-60 hours of work) to create Herman the Kookaburra in acrylic paint on canvas. Why Herman? My sister told me he was a Herman. I wasn’t convinced by the name at all. I decided to look up the Laughing Kookaburra using the fount of all knowledge, Wikipedia. What do you know, it was actually founded by someone called Johann Herman. It was fate, and you can’t argue with fate. If you think your house would benefit from a Herman, please contact me as he is for sale. Have you ever had a similar experience with fate? Lots of busy and exciting things happening recently! I have just put a painting into the Society for Wildlife Art’s annual exhibition, I find out next week if it has been selected. It’s my favourite painting so far, really excited to share it with you soon! I’ll leave you with Mossy… a painting a did a couple of months ago! I have put it into a handy time-lapse video for you, no scrolling – simples! Today I had a display at Gilbert White’s House and Gardens in Hampshire. My portfolio was a great feature, people spent ages flicking through and seeing the extent of my skills. It also sparked several interesting conversations and leads. 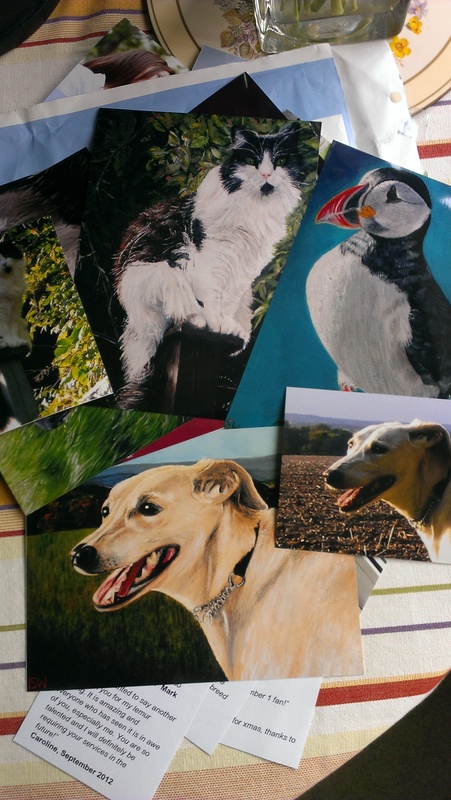 In short, a portfolio is the perfect way to show off your skills in an effective and physical way, without relying on computers or the internet to access your gallery. They can be created simply without too much expense or materials, and yet still look professional! Step 1: Get your photographs printed. I got mine done at Boots pharmacy, and the good thing is that you can edit the photos on the screen to make them fit to the size of the photograph so that no vital parts are cropped out. Step 2: Cut off any white edges using a guillotine for sharp lines. I borrowed one at work in my lunch hour. 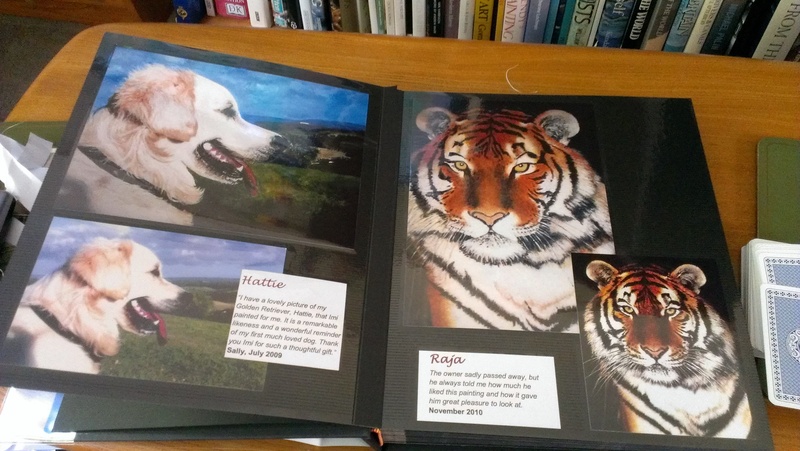 Step 3: Set out your photos on the page, without peeling back the self-adhesive layer yet. Give the photographs a slight overlap if necessary. Step 4: Work out what remaining space you have on your page to fill with the project title and testimonials. 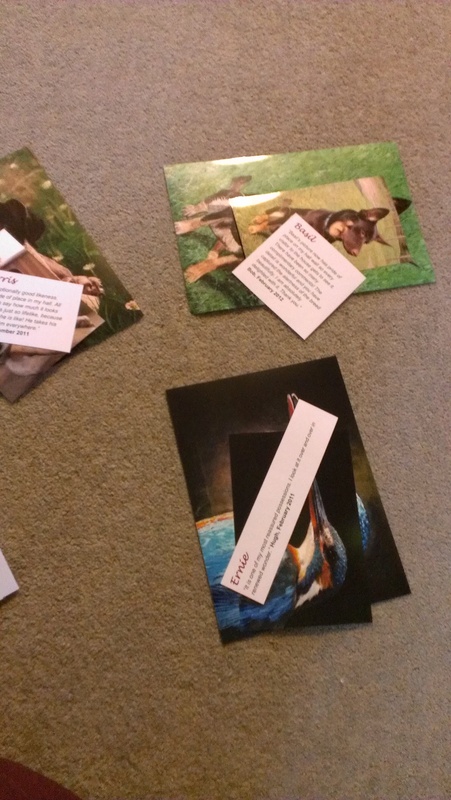 Then chose an appropriate font, text size and layout to fit the surrounding space. Keep the font and size regular for all titles, and all other text, but vary the layout as the space allows. Step 5: Cut up the testimonials and titles, again using a guillotine if you can. Step 7: Peel pack the plastic layer to expose the adhesive, leaving it still stuck at the far edge so it can be reapplied easily. Carefully press down your photographs and text in your practiced layout, and then swipe the plastic layer back into place using your forearm to get even pressure. 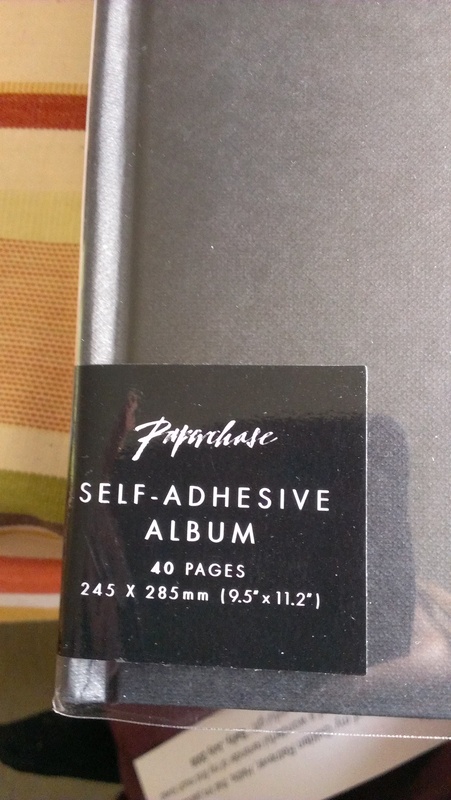 A word of caution – although the pages are thick, take extra care that you do not accidently skip a page, because every time you peel back the plastic layer to rearrange pages, the adhesive loses a bit of its stick, and it is a little soul wrenching to have to do it AGAIN. 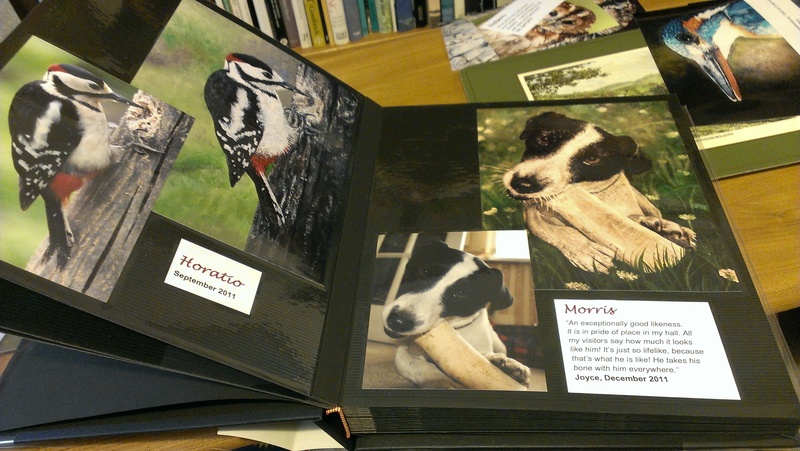 Ta da, a beautiful coffee table portfolio to show people. Just take care that no-one walks away with it! While the man’s away, the girl can paint! Click here to follow my blog by email!